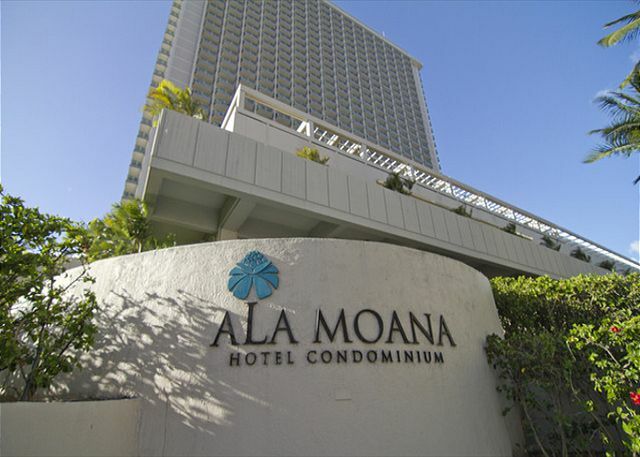 We did a vacation package through Hawaiian Air & had initially chosen a condo at the Ala Moana hotel through Gaia. 5 days before we were scheduled to arrive I was notified by Gaia that the condo had sold and was offered one at the Ilikai. I was a little concerned at first, however, after our arrival we were extremely happy with our accommodations! 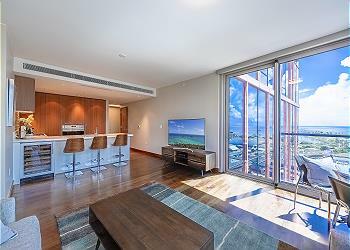 Loved the condo location and the staff at both Gaia & Ilikai! We are already planning our next trip & hope to stay there in the same room again! We took our three granddaughters and our premier suite was perfect for the five of us. The ocean view is beautiful. The property is clean and well maintained and was above our expectations. We were only a short walk from the beach and a few steps from the mall. I highly recommend this property to anyone and would stay here again in a heartbeat. Convenient, Clean, Spacious. We stay in this complex 3-4 times per year. The wifi in the GAIA managed units have minimal bandwith, but 3319 has none. The vacation rental was excellent in all angles. The room and the location are phenomenal. We enjoyed the view of the ocean and the city. The beds are comfortable and even if there is no daily housekeeping we managed to clean the room as we go. Excellent place to stay and we will be back . The adjoining rooms were lovely, a nice retreat from the concrete jungle that is downtown Honolulu. There were some disappointments - faucets missing parts, but functional, coffee maker but no coffee, only two beach towels for a suite that sleeps six, and drawers missing hair dryers. These are simple fixes, which I sincerely hope management addresses, and then this place will truly deserve a five star rating! The location is great, the views pretty good. The unit needs some TLC: broken light fixtures, light bulbs out, microwave cover missing, remote for Viziio TV in living room missing, no wifi specific to the room ( you have to piggy back onto another room number),and as with unit 3326, the dining room chairs are too low for the table. We always appreciate your kind support and would like to keep continuing to come to Hawaii as far as my old aged parents are capable to travel to Hawaii. We have routine activities in Hawaii and Almoana location is perfect for us. There are a few minor issues but it does not affect our stay at all and those issues were comunicated to Gaia staff. This was a stop over from New Zealand so we weren't looking for beachfront or a convenient beach location. The property was clean. The cook top is flat surface so the pots and pans weren't level so if you plan on eating in most times be prepared.The closeness to Ala Moana center with many take out places and the grocery store was perfect. About half an hour walk to Waikiki beach and 10 from Ala Moana beach which is a bring it yourself place, no chairs or umbrellas for rent. Pool was clean but no bar. Nice work out room. It is an older property but well maintained. This room worked well for our family. We had several family members staying in the hotel and the large common area worked well for us. We gathered for a simple breakfast each morning and planned our day. The view was nice and provided a great backdrop. Unfortunately, the first impression of this place was the check-in line, that snaked through the lobby. I waited an unacceptable 40 minutes in line with other angry people. The manager I spoke with said that it's like that every day (except for airline crews who have their own line with no one in it) so I'm not sure how anyone in hotel management is able to remain employed there. It was a lousy start for sure. We'll never be back for that reason alone. The suite was nice but the kitchen was very poorly equipped - not even a coffee scoop. And no dishwasher. GREAT LOCATION! CLEAN & LOTS OF ROOM! Spent one week here and loved the rental. Very close to beach, restaurants and shopping. Gaia made sure the room was well stocked with water, etc... and room was clean and very comfortable. 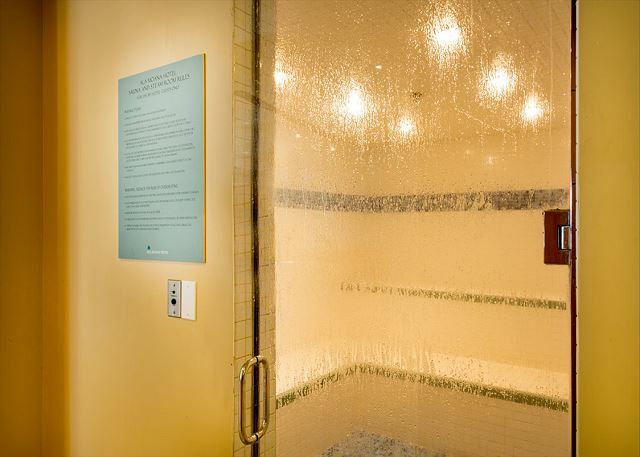 Amenities (exercise room, ...) were great also. Would book again! We did not get the unit we booked for our family of five celebrating two graduations. Our hope was to be together in a spacious unit with enough beds for everyone but we were placed in a smaller unit than what we booked. We were offered an additional room (a hotel room) one floor down so we had beds for everyone. This is not what we hoped for at all. Apart from the locality being good, not much else impressed us. Very overpriced and no servicing. This unit is VERY spacious. Perfect for hosting a small celebration. Lots of seating inside and on the lanai. We had a wonderful stay. Needs an updated microwave and lamp shades. Everything else was AWESOME! The rental process was easy, Hawaii5-0 is very responsive to my enquiries before and after my booking confirmation. The checkin and checkout procedures were clearly sent to me (email) and an phone app allowed me not to require to bring all the paperwork. Staff at the hotel was clear on how to handle private rentals. The property was everything advertised and more, beds were comfortable, facilities, view and location all made our holiday so special. would definitely come back. 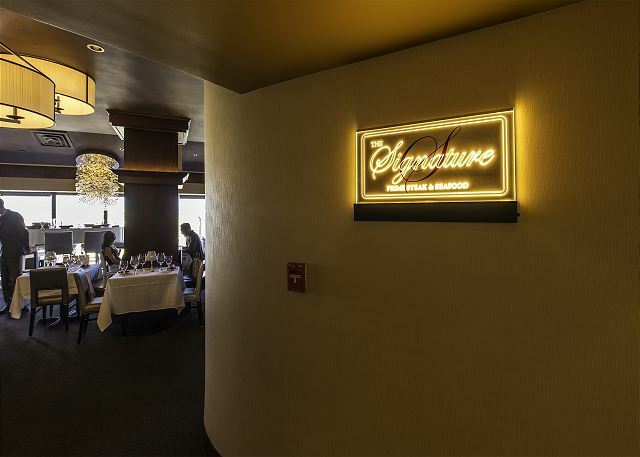 Conveniently located, perfect for shopping lovers. Quiet, spacious, safe and relaxing. Nice decors. 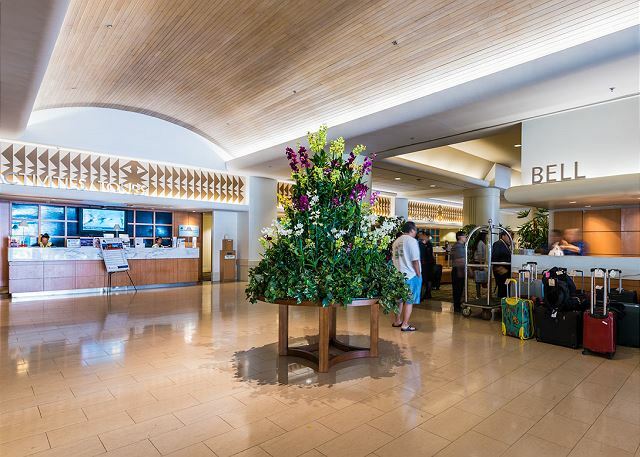 Can acess to the Ala Moana SC directly from the 2nd floor. Nice pool. Areas of improvements would be; few light bulbs were out, kitchen could have better and more equipments, and wifi reception was weak. Having spent time in a number of holiday rentals across the world, this is not a new experience to me - but was for my family, who thoroughly enjoyed it. Starting with the negative - the hardest thing for us to come to terms with was the fact that coming from Australia, you have little choice but to arrive VERY early in the morning - 6AM. This makes check in almost impossible, as check in is at 4 with Hawaii 5-0. So...after a very uncomfortable day, and around 30 hours without sleep, we finally checked in - with very little fuss, except that the Hotel somehow had the wrong name on the booking, which was both infuriating and confusing. Once checked in, however, it was basically smooth sailing, and we got pretty much exactly what we paid for. A high level apartment, 2 bedrooms, 4 Balconies, and a reasonable view. A few minor issues - some maintenance issues which were either fixed, or compensated for within moments of reporting - very impressed with the response time. Also - kitchen is probably not as fully stocked as we would be led to believe - a couple pots, some plates, etc. However, there are a stack of both expensive and cheap restaurants around, so this doesnt really matter - but a more stocked kitchen, with potentially a bigger cooking surface would be better for a family of 4. 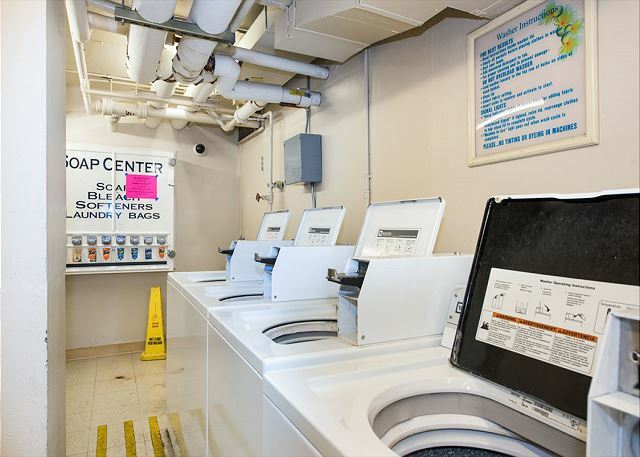 One thing to remember, this is a no service apartment - so make sure you bring coin for washing towels, clothes, etc. Otherwise - a great place, and would definately stay again. Problems are rectified quickly, company is very responsive to communication and location is prime for shopping, tourist stuff (most tours will pick up/drop off directly out front), travel and even the trolley, with a stop directly across the road at the shopping centre. Well worth a look if you are budget conscious, and dont want to spend 10 thousand dollars on hotel rooms. Great place. Great place and awesome views. Look forward to many happy returns. It was a very nice room. There was lots of room for all of us to stay in there and the kitchen was a life saver to have. The two bedrooms had more than enough room for all of us and even had that one extra bed on the couch. The whole room was great. Overall 5/5. The hotel room worked well for two couples. Good location and good view of the ocean. The place was okay but could use some updating. Biggest problem was we got stuck in the elevator for 40 minutes with 12 people. Hotel did not respond very quickly to help get us out of the elevator. We missed our tour of Pearl Harbor. After pressing the hotel we got a credit for dinner. We had a great time in Honolulu and Waikiki. The location of the condo is great. The Ala Moana shopping mall is just adjacent and the beach park close by. The views from the 33rd floor are stunning day and night. 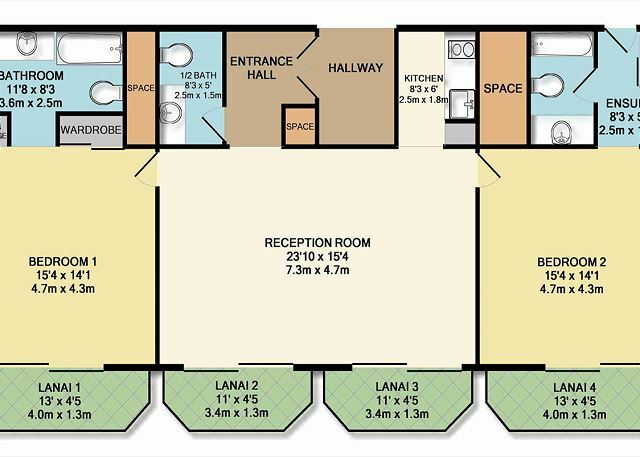 The apartment is space and with good layout. Bothering was the fact that there was no handbook and no info on how to use the appliances or connect to the internet. The remote con was not working and the bedsheets were jaded. The apartment needs some smaller repairs, such as wall paper here and there. The water tap in one of the bath rooms made strange and loud hammering noises when the water was turned on. We were very happy to stay threre, location, view and everything. It was a wonderful experience to stay your property, especially for the aunt, visited Hawaii for the first time. Travelled with twins 9 months and 4 Adults. Needed the kitchen. We liked the space and convenience of the location. Great view and close to a Starbucks! Our family of five had a plenty of room in this condo. 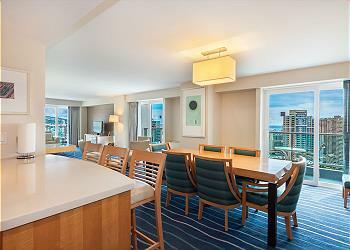 It has a great view from the 33rd floor and it is right next to Ala Moana shopping center, close to beaches, etc. 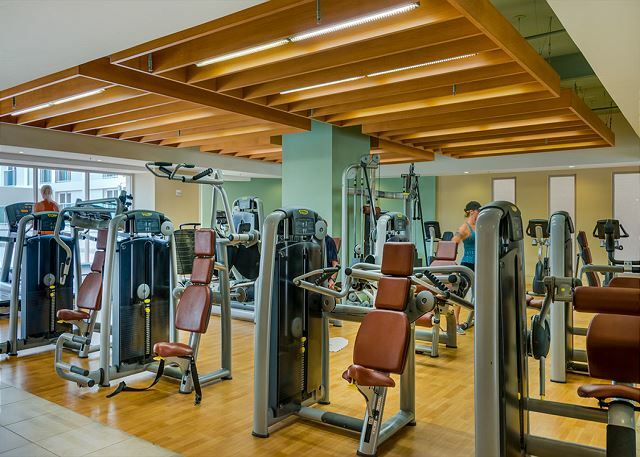 Aside from One Ala Moana, cannot beat the convenience of this property with Ala Moana Shopping Center. Property could use some updating, but was clean and maintained. Ample towels were provided for the 8 day stay, but not bed linen. Wifi for the property was inconsistent. Kitchen and its' utensils and settings are minimal, but enough for light snacks. Views of the ocean are nice, but quite limited. Would recommend and stay again primarily for the convenience of its location. The property was exactly as described and exceeded our expectations. And Jason at Hawaii could not have been more helpful. 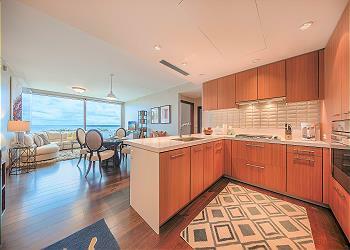 This was a very nice condo in a pretty convenient location (not far from Ala Moana Beach Park). It was my first time in Honolulu, so I don't have a lot to compare it to. There were some conveniences that were not immediately apparent -- a hard-to-discover drawer with knives and utensils, beach towels in a closet. Most frustratingly, there were no toiletries provided besides hand soap. This is not necessarily a bad thing, but it would have been useful to know that beforehand. Also odd was that many of the faucets in the bathrooms had missing pieces of hardware. This was an odd blemish on an otherwise well-maintained property. Our group of 4 wanted to stay at the Ala Moana because we were attending a convention at the Hawaii Convention Centet across the street. For a littl more than the price of two standard hotel rooms, we rented this 2 BR 2-1/2 Bath apartment that also included a living/dining room and a small kitchen. We couldn't have asked for more. The hotel staff was very professional and provided excellent service. Plenty of space to spread out, entertain, and enjoy the benefits of downtown life! The H5-0 staff were awesome & responded quickly to a minor problem with the AC! Thanks again for a great experience! Enough space, convenient location. I would highly recommend this room for both leisure and business scenes. Very nice stay indeed! If possible, please clean or upgrade bedding items such as pillows more frequently. The room was very comfortable and modern with really good air con. The Ala Moana hotel is a good building with great service when checking in and we booked our day trips in the lobby and they were very helpful. It was also convenient being connected to the shopping centre! Only negative would be it is about a $15 can ride or 20 min walk to the main part in Waikiki and the nightlife. Other than that, we loved staying there. Our stay was nice. The rooms were very spacious and clean, with all the amenities ready for use. Location was very good, since it's walking distance to shopping centers and the beach. One drawback was the TV's in both rooms were not working and we were told that they weren't compatible with the cable system of the hotel. We were offered a 15% discount for our next stay, which is very close to being useless, since we were in Hawaii for a vacation and it would take years for us to start thinking about another vacation there. Good thing the TV in the living room was working. I stayed with some colleagues of mine in this apartment for a whole week of conference in Honolulu. 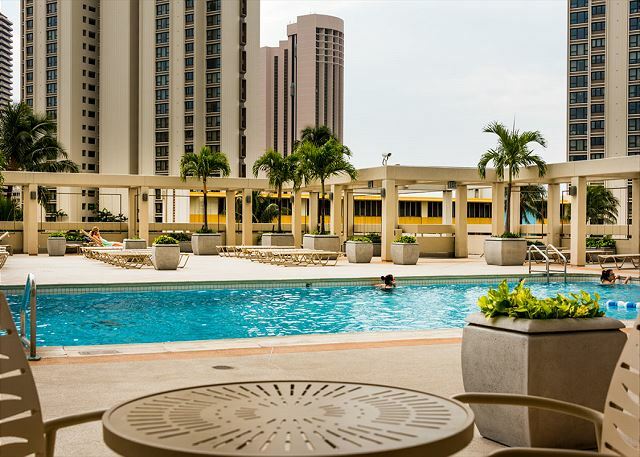 The apartment is very conveniently located, 2 minutes from the conference center, 5 minutes from the beach and shopping center and very close to Waikiki (all are walking distances). The apartment was very clean and had a nice view on the ocean. I highly recommend it! We stayed for a week in this suite. Everything was as advertised. Room was very clean. 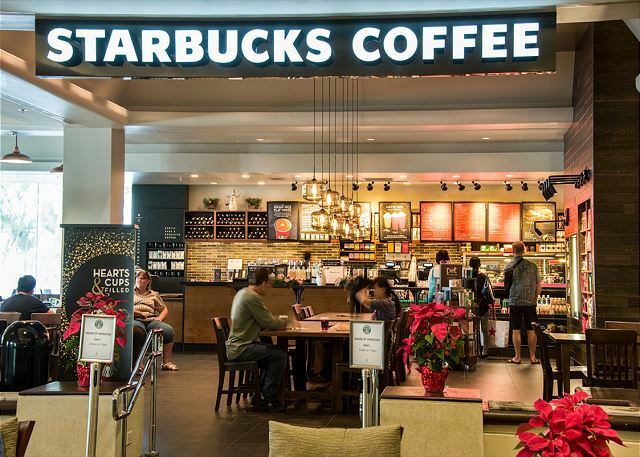 Ome of the best perks are that it's connected to the mall for shopping and eating. It's also just a block away from the beach. It's also a relatively short walk to Waikiki. You can catch the buses at the mall since they all stop there. 1) Wifi requires periodic login. Our iPhones kept getting disconnected and unsuspectingly using data instead of wifi. 2) TV is pretty lame. You get the hotel package which is pretty limited and was in pretty low resolution. They have a great new smart Vizio TV but I couldn't figure out how to connect it to Netflix or Amazon Prime. 3) Pool was really cold. Our kids swam on a hot afternoon and didn't last 10 minutes before coming out shivering. 4) Kitchen (again as shows in the photos) is quite small. We mostly used it to make breakfast. Two mini fridges (dorm size). We stayed in 3319 for three nights. 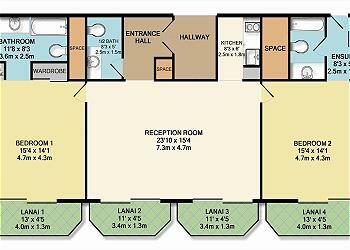 The unit was very spacious, clean, and ideal for a family of 4-5 persons. The ocean and city views were nice and provided much relaxation. 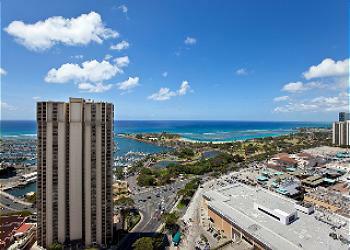 The location of the apartment was very convenient to the beach, the Ala Moana Mall and surrounding shops. We would definitely stay in Unit 3319 again. This condo suited our family's needs well. We had space to spread out and feel comfortable. There were plenty of bathrooms (2 1/2), a coffee maker (big plus! ), a toaster, two small fridges, wifi, and amazing views from 4 separate balconies running across the length of the condo. Air conditioner controls were in each of the rooms. Beach towels were in the closet and well as boogie boards. It was stocked with extra towels, tissues, and towel paper which surprisingly not everyone does. Although I'm not a mall person, the hotel/condo is connected to it and my family appreciated that. I appreciated the beach park, harbor, and beach just a few minutes walk across the street. I was even able to walk to a nearby yoga studio. The best part though was beginning and ending each day sitting on the balcony. Sometimes I thought I'd just spend our entire Hawaii stay perched there. Beautiful view, convenient location and amenities. Perfect for families. Would stay there again. View was nice and good sized rooms. Bed was so-so. Really nice to be outside the craziness of Waikiki but very convenient to be next to Ala Moana mall for food, groceries, drug store. Pool area is disappointing. Smallish, cold, deck needs resurfacing, no hot tub. Parking is expensive at $20 a day. The cleaning fee is high so factor that in when considering the cost. Overall, a decent place for 2 families to share. Because of the cleaning fee, its better the longer you stay. The suite is located on the 33rd floor with a fantastic view. Good for a family trip and attending the conference held at the Hawaii Convention Center. The Ala Moana Beach Park is within walking distance. 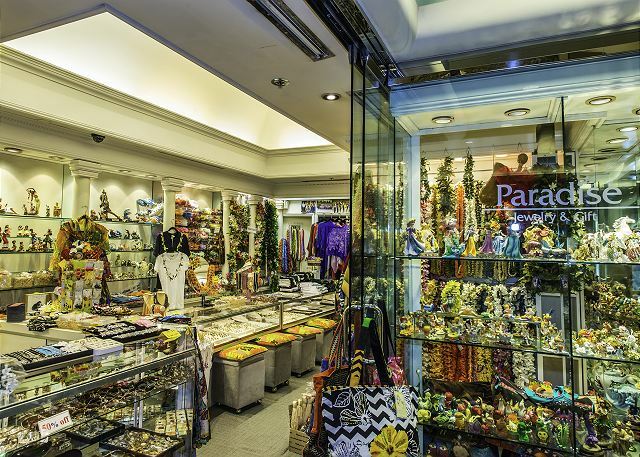 The Ala Moana shopping mall is convenient for shopping and dining. The Wal-mart 2 blocks away was convenient for buying souvenirs. The only two problems: (1) It took more than 20 mins to walk to the Waikiki Beach. Since that we rented a car, it is not a big problem for us. 2. There was no daily housekeeping service. it would be better if the management company can have a direction telling guests where to dump the trashes. Overall, it is a very nice place to stay. The room was very clean and had everything we needed. Loved our location next to the Ala Moana Shopping Center. Size of the suite for four of us was perfect. Good restaurants nearby, enjoyed walking to the Mall in the evenings for coffee and dessert. Only suggestions for the suite - dishwasher was out of order, had no soap for the showers, big dip in the sofa bed mattress, caulking in master bathroom vanity was messy. Otherwise liked having flatscreen TV's in all the rooms, loved the view, spacious enough for all of us to hang out and not feel crowded. Staff in the Ala Moana Hotel were all friendly and helpful. Sheryl was fantastic to deal with and very prompt with her response. Highly recommended to all. 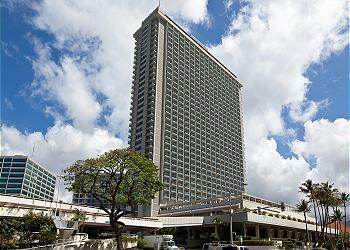 The apartment was great and close to the Ala Moana mall and transportation. Ensure all appliances are in working condition - dishwasher had a sign on it not to be used. Leaking toilet bowl in ensuite. Mouldy shower curtains in ensuites. Staying in this penthouse was wonderful. With a large group of friends staying on Maui, five of us decided to visit Waikiki for a few days to party and shop and take in the excitement. The condo was extremely comfortable, with more than enough space for all of us to come and go. One of the bedrooms had its own entrance, which was nice when the two people who stayed there were out late while another friend slept on the pull-out couch. We used the gym and the pool, both of which had attendants giving out towels, etc. Although we spent most of our time in Waikiki, the walk across the canal was not bad, and it turns out that the beach closest to our apartment was nicer anyway. I thought this apartment would be a compromise between a large, clean space for five, and an ideal location, but it was great. The staff at the front desk were very helpful with directions and there were always taxis waiting downstairs. On the last day, it was nice to leave our luggage with the concierge while we explored the city for a few more hours between checkout and the time of our flight back to Maui. This is the perfect place to stay with a small crew. An excellent property for a family. We had 5 adults sleep comfortably and there was plenty of space to sit and eat/talk. the location was great. Very nice condo unit with great views. Super location with the mall and beach within walking distance. We had a couple of minor issues that were quickly resolved once Hawaii 5-0 was notified. Room was very spacious and with 2.5 bathrooms it was very easy for 6 women to get ready and go. We ate all meals at restaurants around town so can't comment on kitchen amenities but it looked well stocked. GREAT location - close to major shopping center, many eateries close by and beach across the major intersection. Nice to be in one big suite instead of multiple rooms and that the living and dining area separates the 2 rooms. Would definitely consider renting again. We had a great stay at this unit. The room was clean,roomy,nice view,very reasonable. The location was very convenient for shopping, sightseeing(near the bus stops of the bus). We went to Ala Moana Park every morning to play tennis and soccer,and enjoyed beach. But if you like to enjoy mainly'Waikiki', maybe find others. Came here for a destination wedding with my family. The view was breathtaking...rooms were very chic and clean...and the proximity to retail stores and restaurants was definitely a plus.